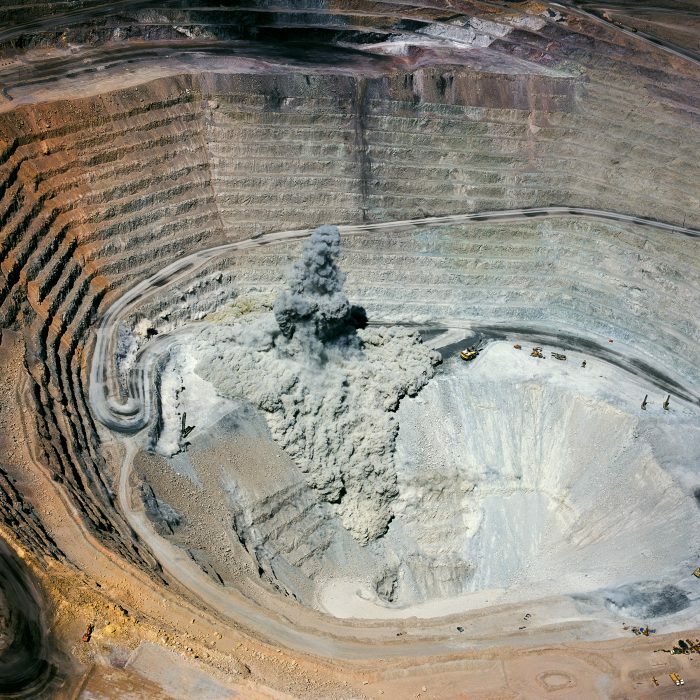 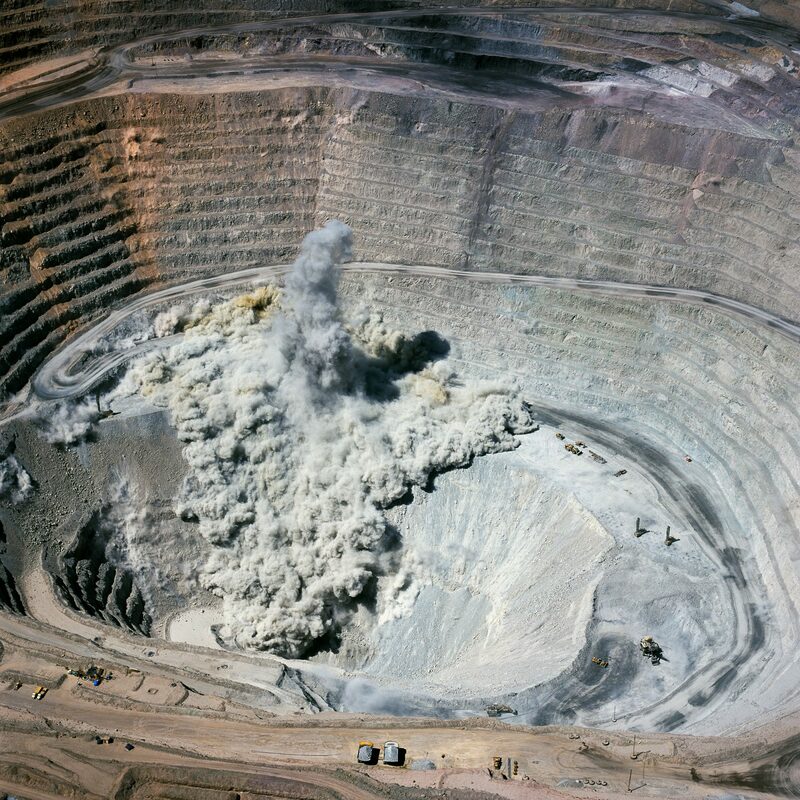 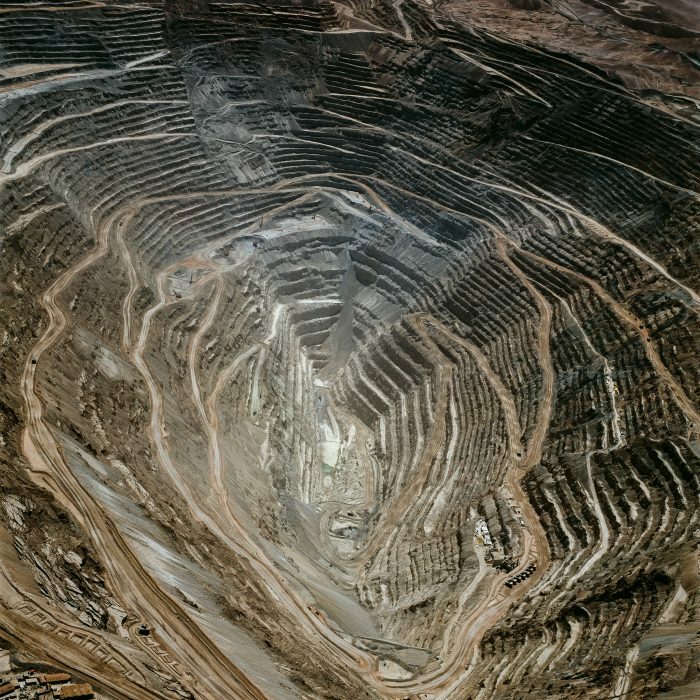 Historically, mining operations in the Atacama have taken the form of enormous open pits devoted to the exploitation of copper reserves. 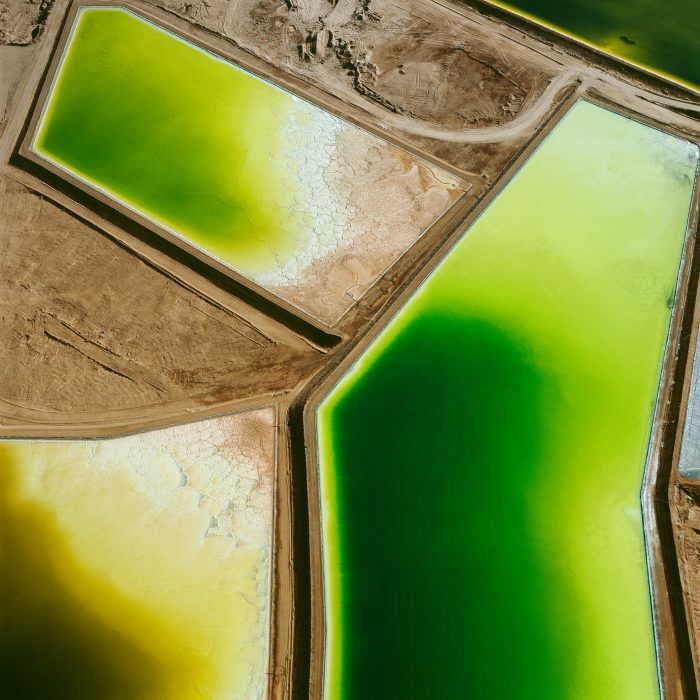 Chile remains the world’s top producer of copper; however, in the past decade, a surge in lithium mining has further imperiled the environment of the Atacama. 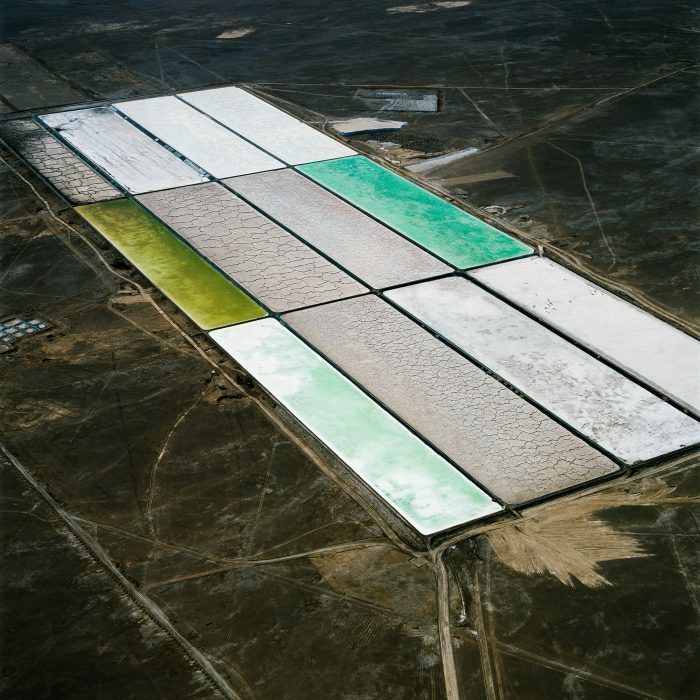 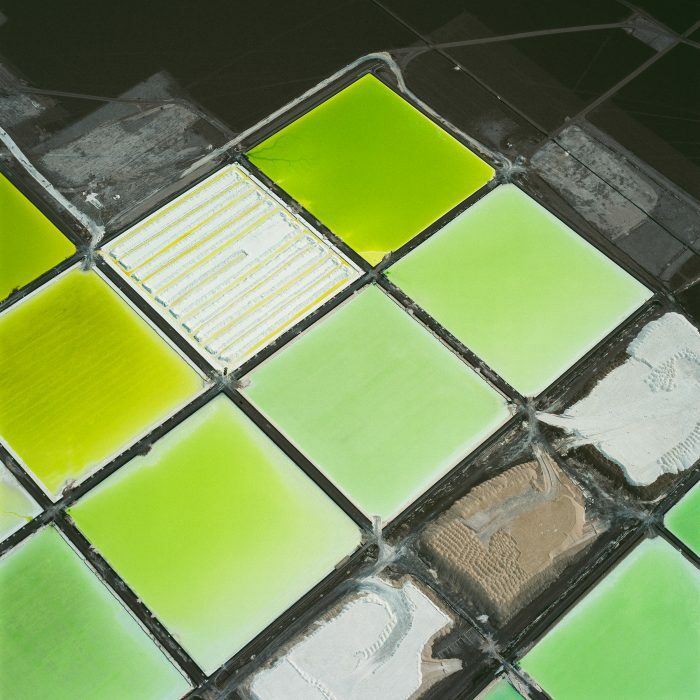 Lithium’s unique properties—it is the lightest of all metals, heat resistant, and can store substantial amounts of energy in batteries for computers, cell phones, and cars—have fueled a global rush to extract it from hard-rock minerals and brines. As a result of this rising demand, lithium prices have nearly tripled in the past three years. Such demand will only increase as electric cars become more common. 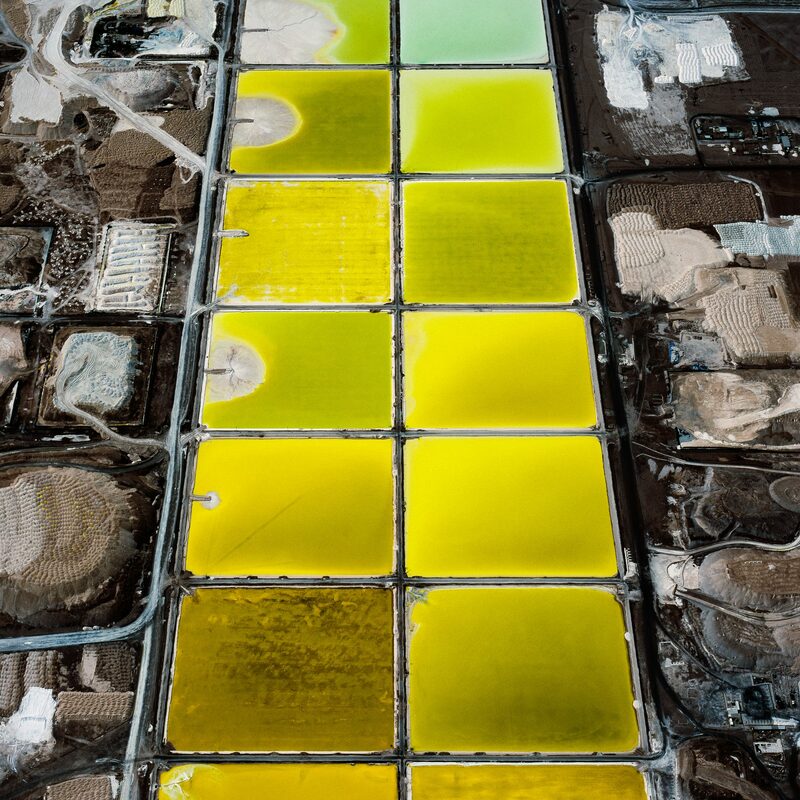 For perspective: one version of the Tesla automobile runs on a battery with 140 pounds of lithium compounds, the equivalent of what is found in about ten thousand cell phones. I am captivated by the ways in which the industrialization of the Atacama and the resulting environmental challenges are representative of our radical transformation of the earth and our understanding of our place within it. These images of the Atacama are intended to counter our collective misapprehension of the desert as a terra incognita, a vast emptiness upon which we impose a notion of purity and boundlessness. 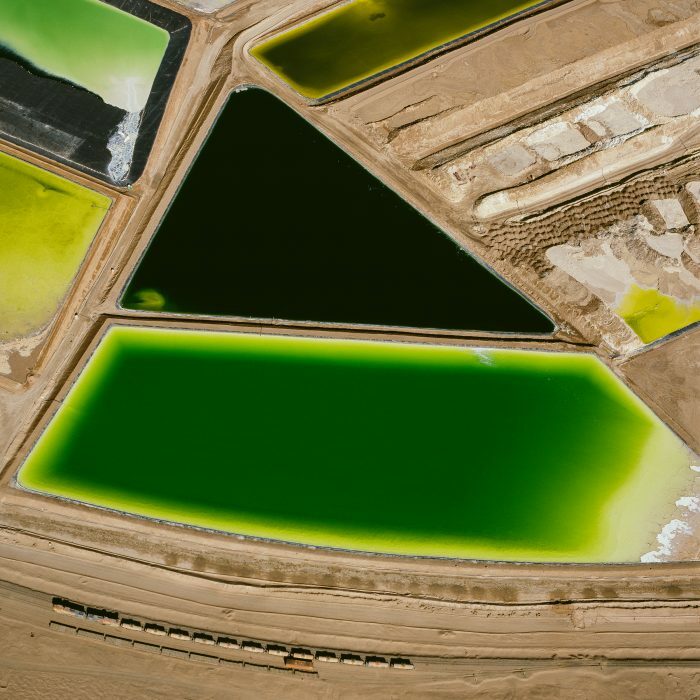 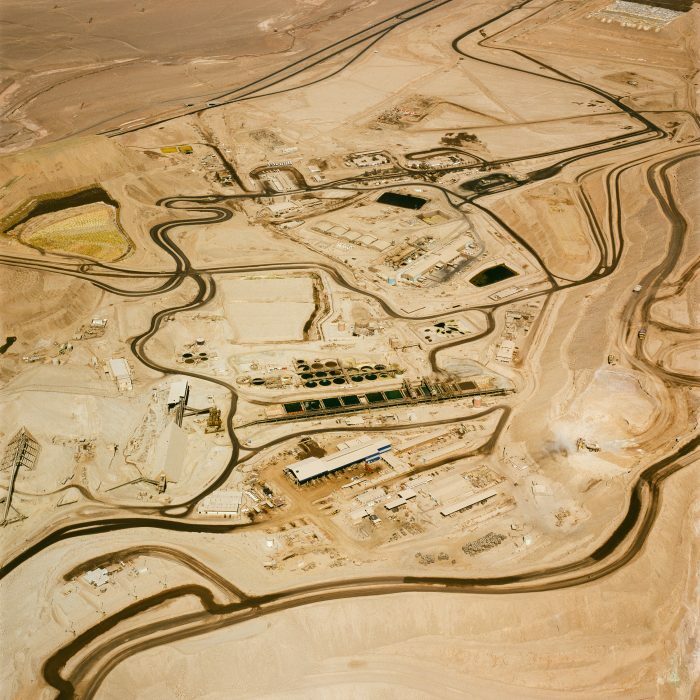 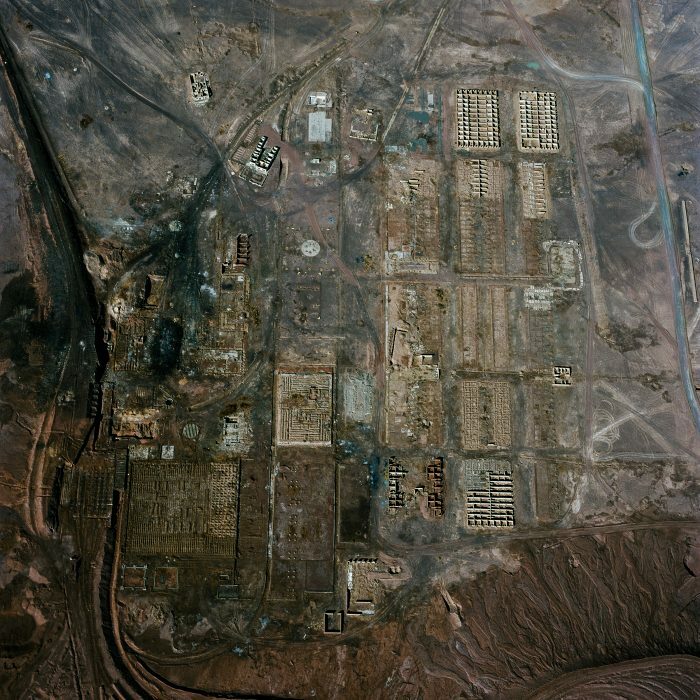 Forming part of an alternative cartography that maps industrial development beyond the city limits, these new photographs show how the supposedly remote Atacama Desert is becoming part of a planetary fabric of urbanization, and at what cost. 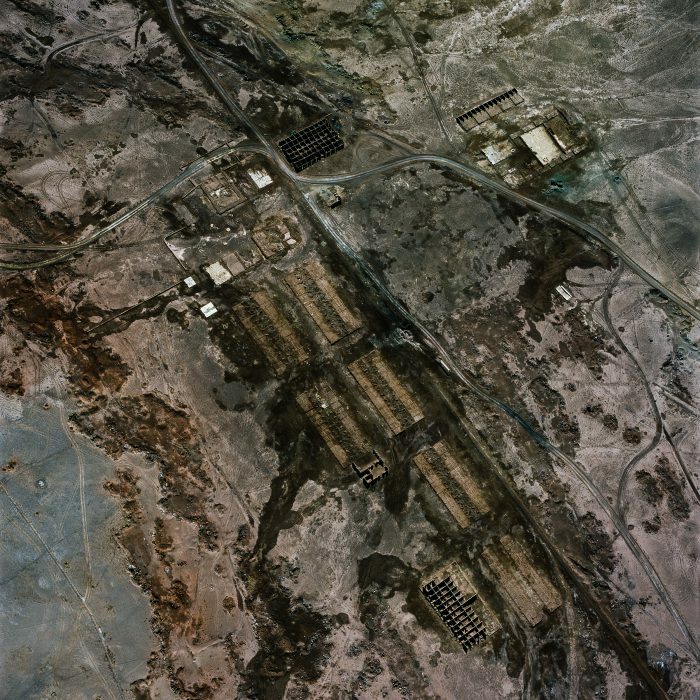 Maisel began Desolation Desert in 2018 with the support of a Guggenheim Foundation Fellowship in the Creative Arts. 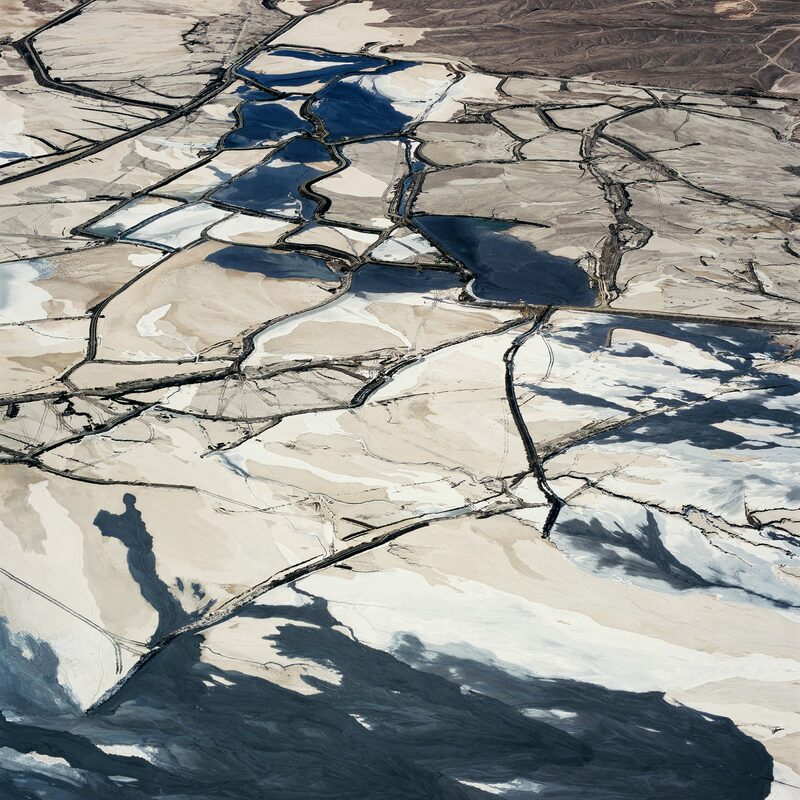 Prior to his expedition, he spent several months conducting research and selecting sites. Due to the high altitude terrain, Maisel determined that he would need to charter a larger, more powerful airplane than usual for his work. 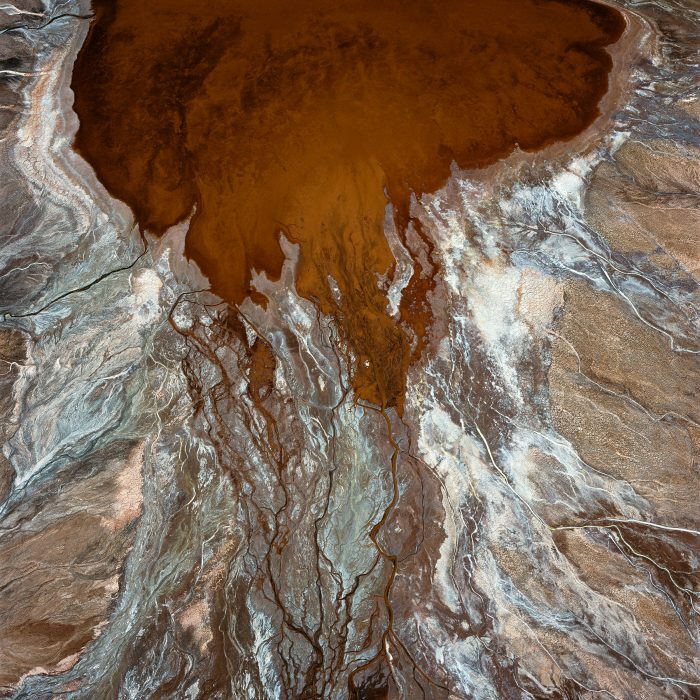 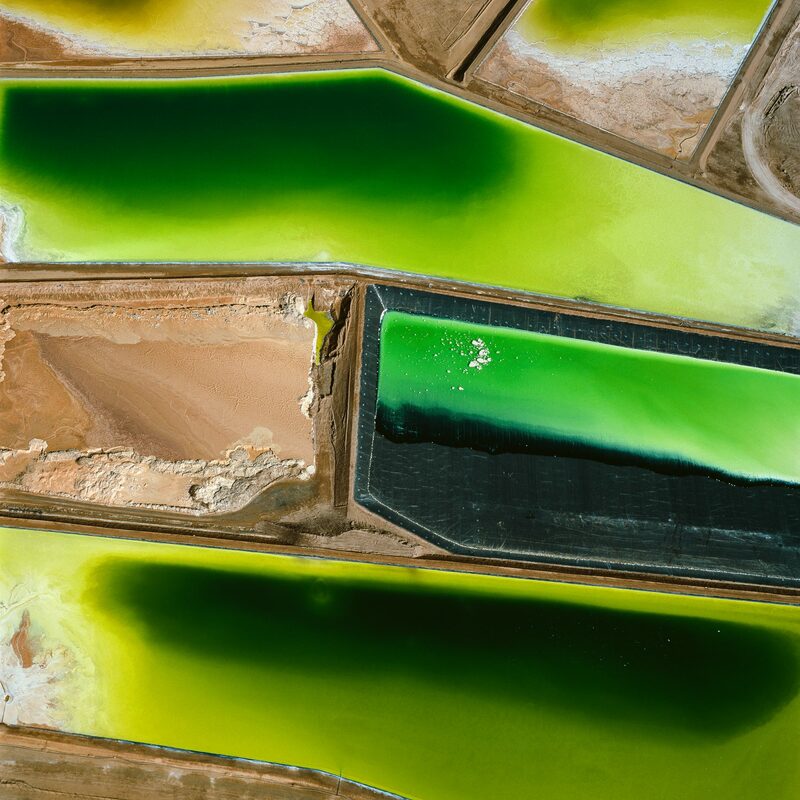 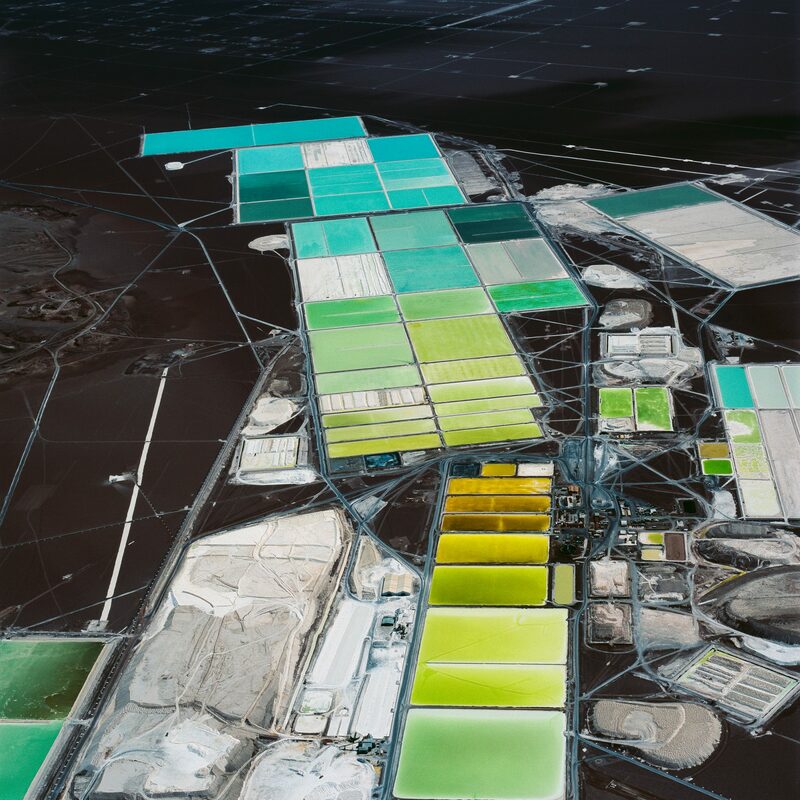 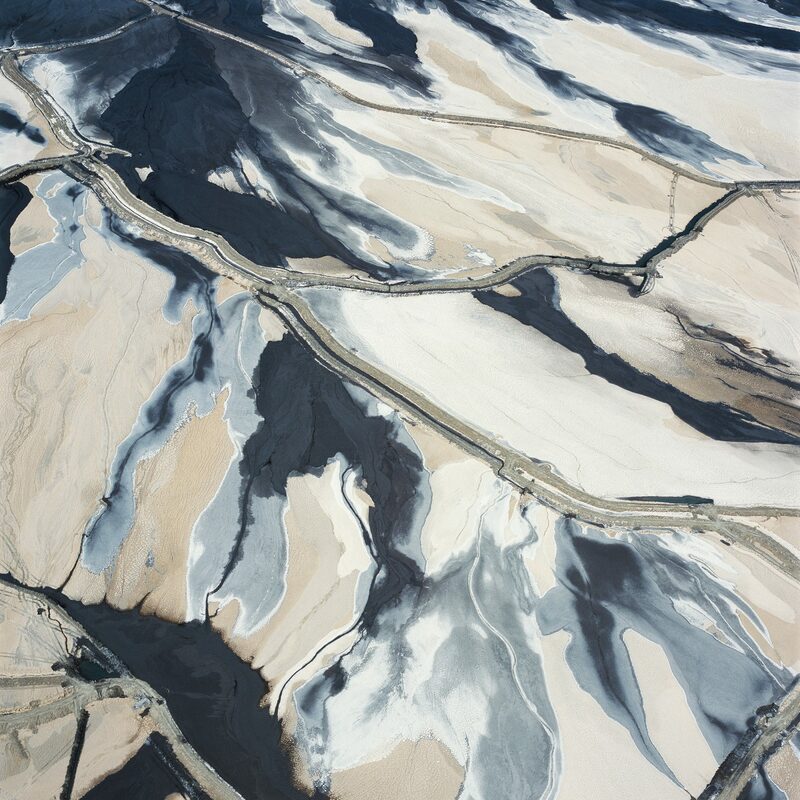 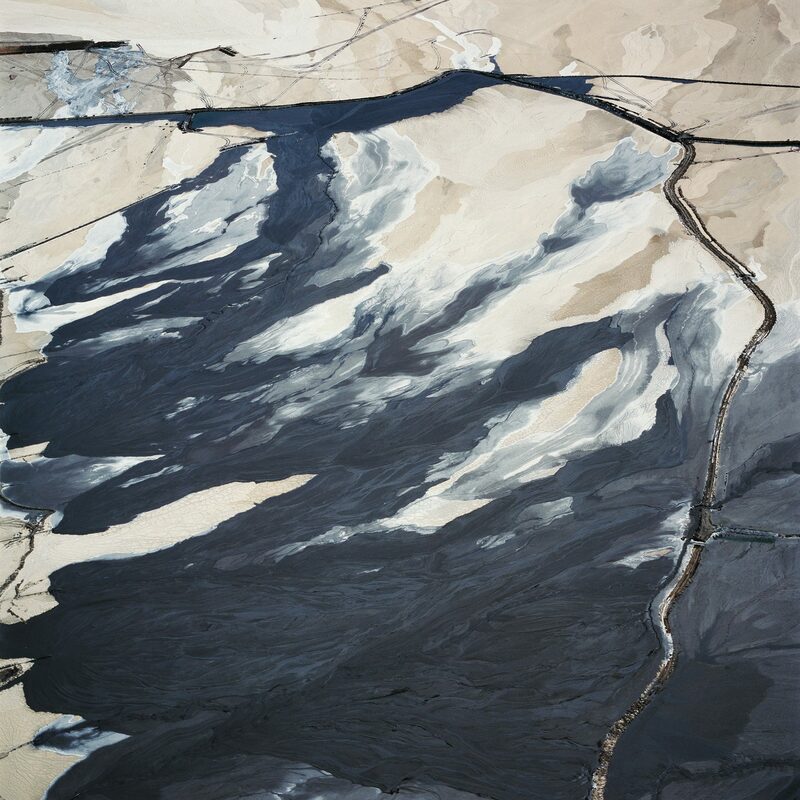 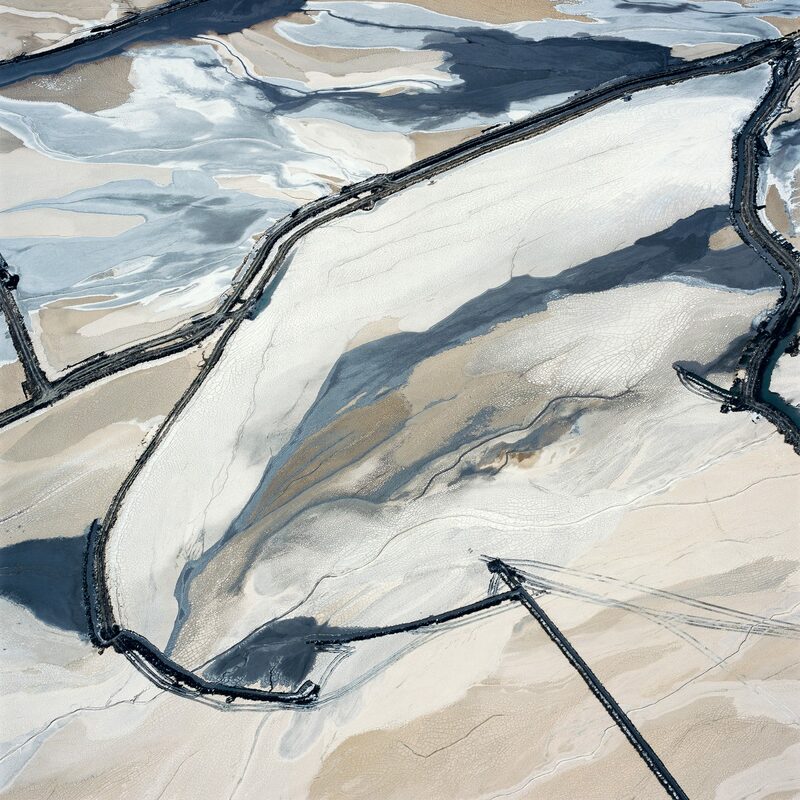 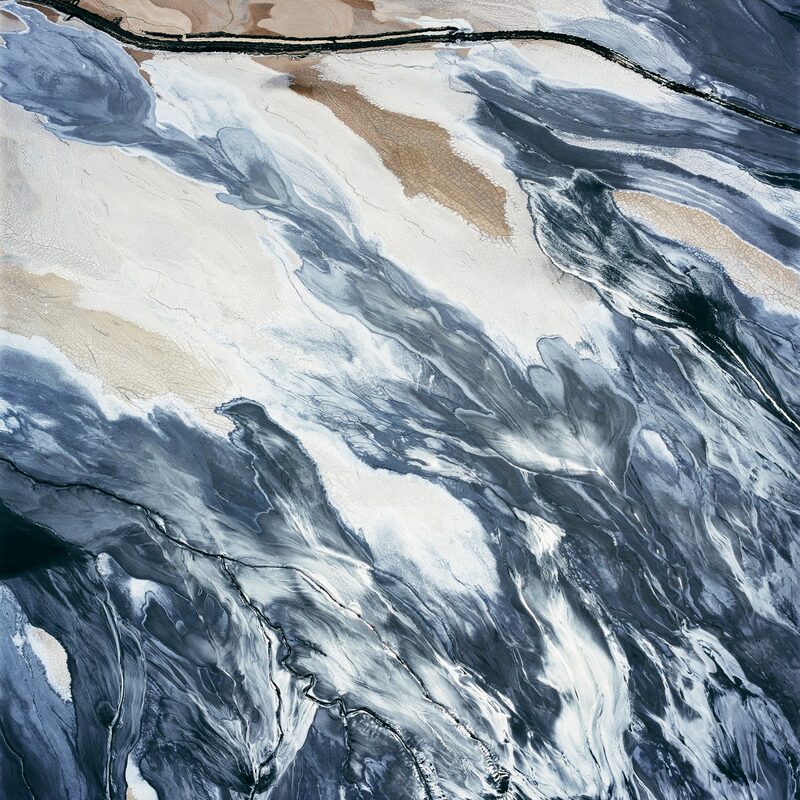 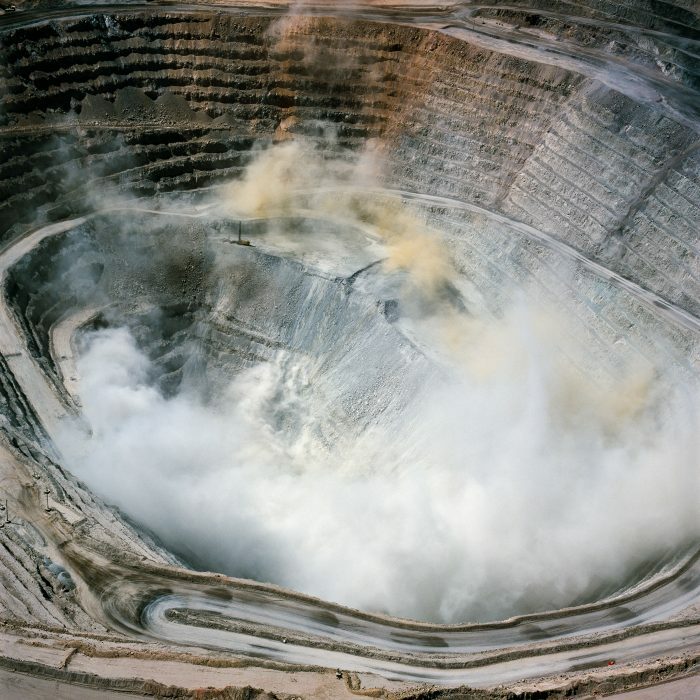 Ultimately he logged more than 20 hours in the air, shooting over 80 rolls of medium format film at more than a dozen industrial mining sites throughout the Atacama region. 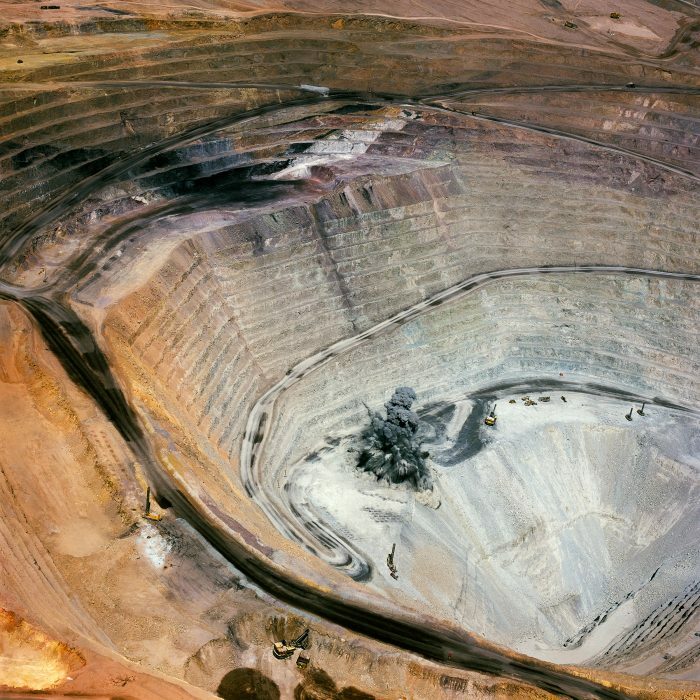 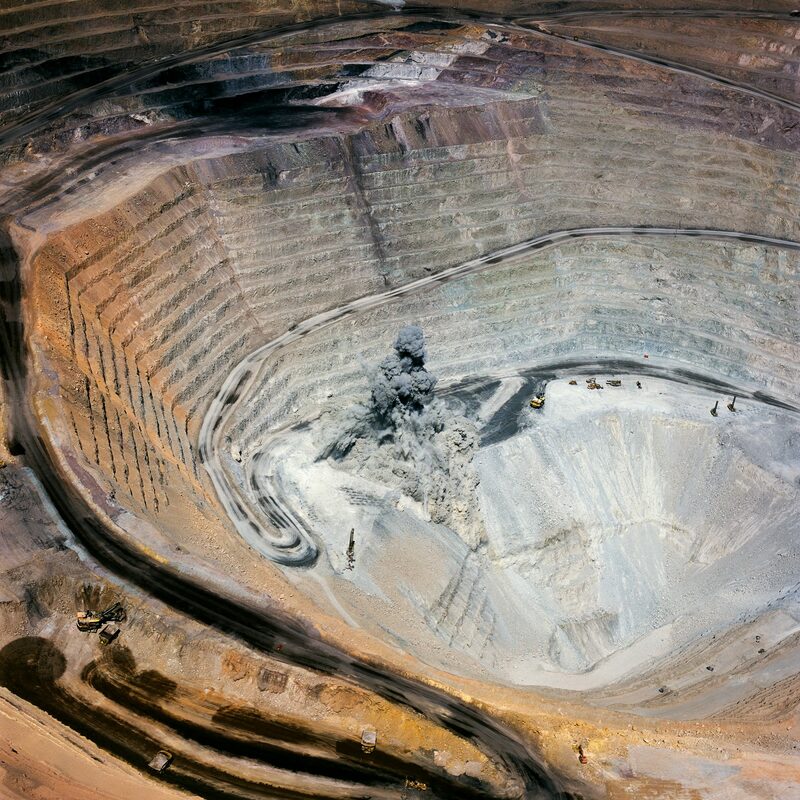 The final site Maisel photographed, at the highest elevation, was the Chuquicamata Mine—one of the world’s largest and most profitable copper mines, and a primary source of the Gugggenheim family fortune.